It does not take much to become ‘vintage’. Happened to me, in fact. 🙂 But my flashlight is only a decade old, I nearly react! When purchased, it was the latest & greatest; LED was just coming out. Dozens of batteries later, my E2E is now on its third lamp assembly. An “outdated” incandescent bulb. No, there is no LED we can retrofit into your Executive E2E flashlight. But when it comes to indestructible, Surefire got it right. This flashlight is first in, last out, in drenching, freezing, and steaming conditions. Vibration, drops, dust, nothing stops it from extricating me from the really fine mess I’m invariably in. Its two CR123 batteries provide decent runtime. I often prefer intermittent light via its tail cap switch, stretching battery life (at the expense of bulb life?). 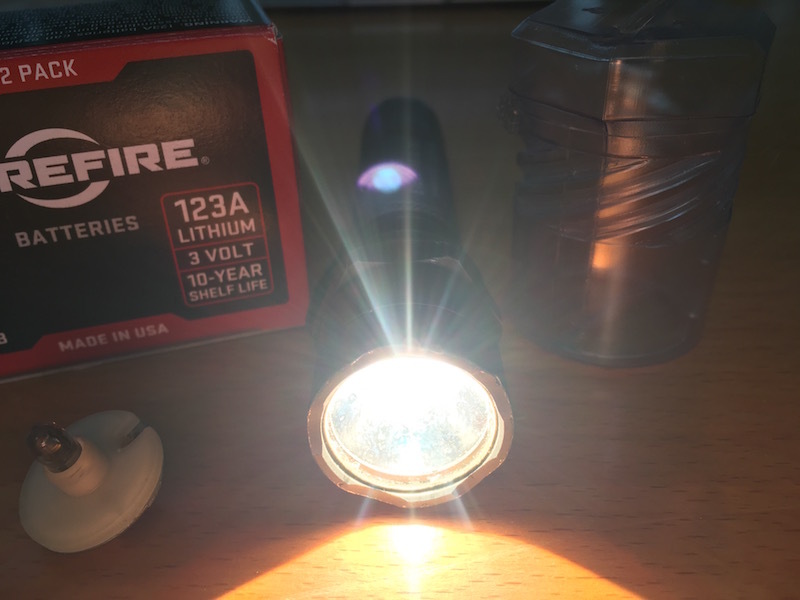 This flashlight compliments my LED headlamp. And a backup LED lamp, the Titan, on a lanyard. All Surefire. Because when crawling into the unknown, you must have reliability and ruggedness. Tools you can count on. Surefire. This entry was posted in Product Review and tagged E2E, Surefire, surefire minimus headlamp.